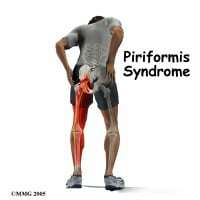 This is a condition that involves a muscle called the piriformis. It is located deep in the buttock and can compress the sciatic nerve, giving symptoms very similar to a disc herniation – in fact piriformis syndrome is often mistaken for a disc injury. Treatment of a piriformis syndrome, commonly known as a pinched nerve treatment, may include physio-therapies such as ultrasound, electric muscle stimulation, deep trigger point therapy or myofascial release and stretching, as well as chiropractic adjustments. There are many different ways to adjust the spine. The techniques used will always be customized to your needs. I had been suffering with a debilitating pain and stiffness in my lower back, legs, and buttocks. After being misdiagnosed several times I decided to research my condition myself to find the right treatment. This led me to search for a corrective chiropractor, and that’s when I found Dr Hoch! I came to my initial visit stiff and hunched over in pain. After Dr. Hoch ordered my X-rays she showed me showed me the problem areas along my spine and explained I also had Piriformis syndrome. She clearly explained my condition as well as her outline for a series of treatments over a specified amount of time. Then Dr. Hoch discussed her prescribed treatment plan for me. It consisted of being adjusted, therapeutic treatments, and stretches to do at home. Over the next few weeks the results were swift and dramatic. I absolutely welcome relief from the pain and discomfort I’ve endured for the past few years.